For the iPhone (due to built-in limitations), we strongly recommend following all the directions on the install page to correctly lock-down internet capable apps. 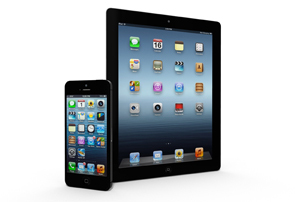 The WebChaver system is available for your iPhone, iPad and iPod Touch at no additional cost. Internet activity from your mobile device will be tracked and reported on the same weekly report as your home computer's browsing, using your WebChaver username. Filtering is also available as an option. Click here for download and installation instructions. The most secure filter for iOS is Meshimer . It will completely lock down the iOS device. It requires a technician to install. Mobicip Safe Browser This best-selling Safe Browser for the iPhone, iPod Touch, and iPad is based on a path-breaking content filtering engine. It is expressly designed by Mobicip to provide a safe, secure and educational Internet and YouTube (new) for families and school-age children. The instructions for the CE iPhone browser must be followed with this as well, to disable other ways of accessing the unfiltered internet. Please see the instructions here. K9 is NOT recommended since it is not comprehensive and cannot be customized.